Dr. Alidadi treats the entire family and uses the gentlest techniques on the little ones. Dr. Feryal Alidadi enjoys treating entire families and is especially good at helping children to feel comfortable and relaxed while getting their dental care. She will provide you and all of your family members with affordable dental care using advanced equipment and the gentlest techniques. Dr. Alidadi is very experienced in minimally invasive procedures that can gently give you and your family healthy, beautiful smiles. She can straighten crooked teeth on adults and teens with Invisalign®, the clear alternative to braces. She loves to see young children, usually by three years old, because this way she can help guide their teeth so that they’ll grow in normally. Children find Dr. Alidadi to be a very sweet, caring dentist and not someone to be afraid of. She loves kids and kids love visiting her. She is very patient and has a feather-soft touch. She knows how to talk with children and reassure them that everything is going to be okay. Dr. Alidadi’s shots are gentle and children often don’t even notice they’re getting one. Her X-ray equipment is high-speed, low-dose digital radiography for safer and more accurate dental care. 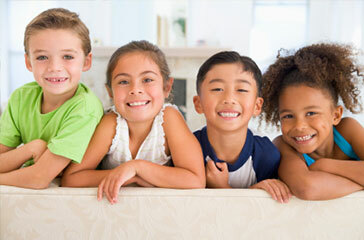 She also offers various services for kids, including dental sealants to prevent cavities. DIAGNOdent helps detect cavities early, before they become bigger problems. DIAGNOdent uses a precise laser scanning system to scan your child’s teeth to measure the fluorescence within each tooth’s structure. This lets Dr. Alidadi identify where there may be cavities developing in the small spaces between, on, and around your child’s teeth. With DIAGNOdent, Dr. Alidadi can find and treat small problems before they become big, painful problems. A frenum is a band of tissue that connects or holds down a body part like the lip, tongue or cheeks. When a frenum is positioned in such a way as to interfere with the normal alignment of teeth or to constrict the movement of your child’s tongue or lips, it can be removed with a laser surgery procedure called a frenectomy. A laser frenectomy is a simple procedure where either part or all of the frenum is removed in order to return a healthy balance to your child’s mouth. The laser allows the frenectomy to be completed with little to no discomfort to your child. Going to the dentist should be a pleasant experience for children of all ages. That’s why Dr. Alidadi performs laser treatments that don’t require any shots or anesthesia. Lasers can also be utilized to remove decay, comfortably and in a minimally invasive manner. Usually, no numbing is necessary to do a filling. Kids love this, as do our adult patients. With our Biolase Waterlase iPlus® laser, we can perform children’s root canal procedures faster, with less pain and better than with conventional non-laser treatment techniques. Healing is rapid and there is reduced swelling and bruising when compared to traditional root canal therapy. 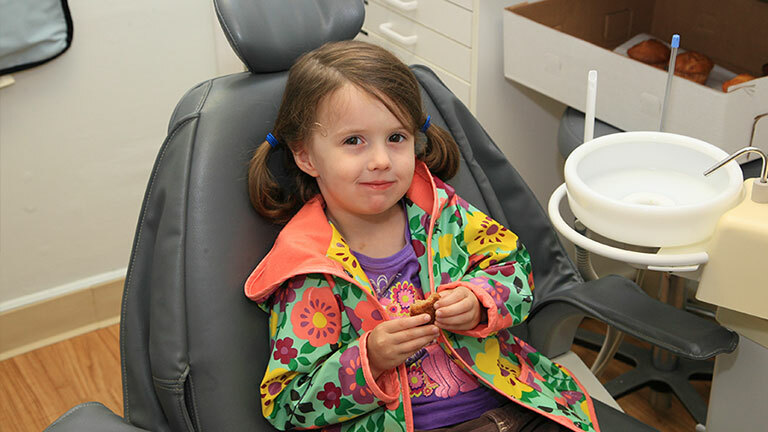 We are very friendly and try to make kids feel comfortable so they look forward to their dental treatment. The key to effective preventive dental care for your child is to make sure they get their regular examinations and cleanings. Early cavity detection means more comfortable treatment. We use an ultrasonic scaler that uses gentle sound waves to clean teeth and remove any plaque or tartar buildup. During the exam, besides looking for cavities, Dr. Alidadi will look at the development of your child’s dental arches. She will check them to see how they’re affected by the tonsils, adenoids and tongue position to help insure that proper growth occurs. Dr. Alidadi wants to make sure your child develops the best possible facial form, profile and bite. If your child has orthodontic-related problems, she will make treatment recommendations. She also patiently instructs children on the best way to brush and floss their teeth, which will help set healthy habits that will last them a lifetime. Senior dentistry is about treating the unique dental conditions of mature adults. Dr. Alidadi helps seniors feel relaxed and comfortable while getting the dental care they need. She has advanced training and over two decades of experience in the areas of dental care a mature adult might require. As an expert diagnostician, Dr. Alidadi is qualified to assess all aspects of a senior’s oral health, from the teeth and gums, to jaw placement and bite. Your teeth do not have to lose function and your smile does not have to go bad as you age. Dr. Alidadi can restore your smile to its former natural beauty by using dental implants, bridges or dentures, depending on your situation. She believes that having a healthy smile and keeping your teeth are extremely important, no matter what age you are. Click here for more information on full mouth reconstruction.